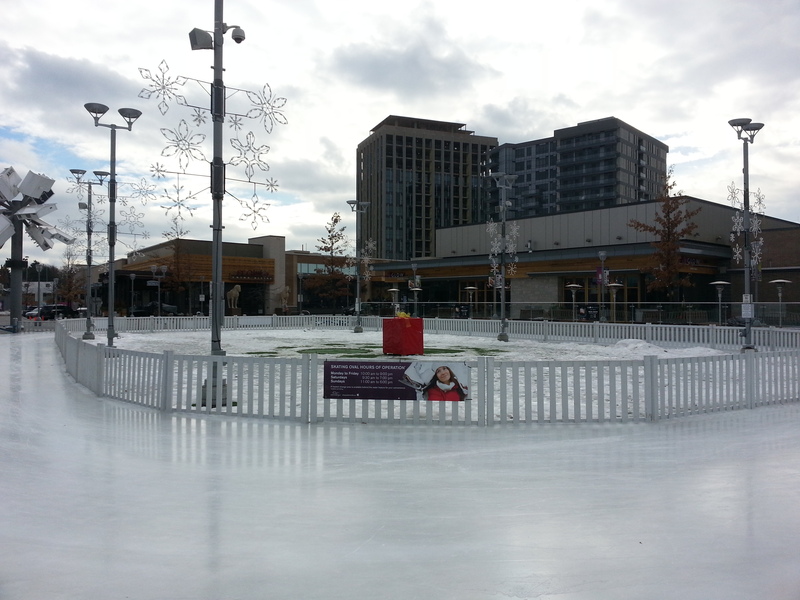 Don Mills and Lawrence is ground zero for suburbia in Toronto. In 1953, it became the city’s first planned community – the first suburb. The affluent suburb. That’s not to say that residential areas did not exist outside of Hogtown’s core before this. Suburb here refers to cookie cutter bungalow-lined side streets and shopping centre-defined main ways – all tied together by the epitome of affluence: the automobile. Don Mills represented a new consciousness in city building – a shift away from dense metropolises and a needed way to handle the post-war population boom. Some 50+ years later, Don Mills and Lawrence is at the centre of more innovation. My first visit to the Shops at Don Mills was stemmed from a specific purpose: scouting out locales for a hair trim. It also gave me a chance to scout out a place I’ve heard about in name but never visited. It’s a fun test to characterize the Shops. This is a mall, there’s little doubt about that. 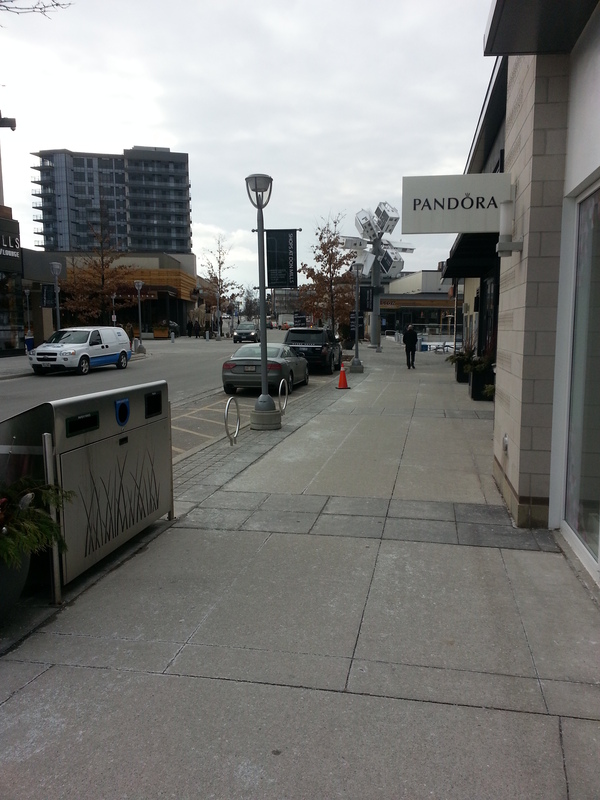 But at the same time, it’s very much unlike other malls we find in Toronto’s suburbia. 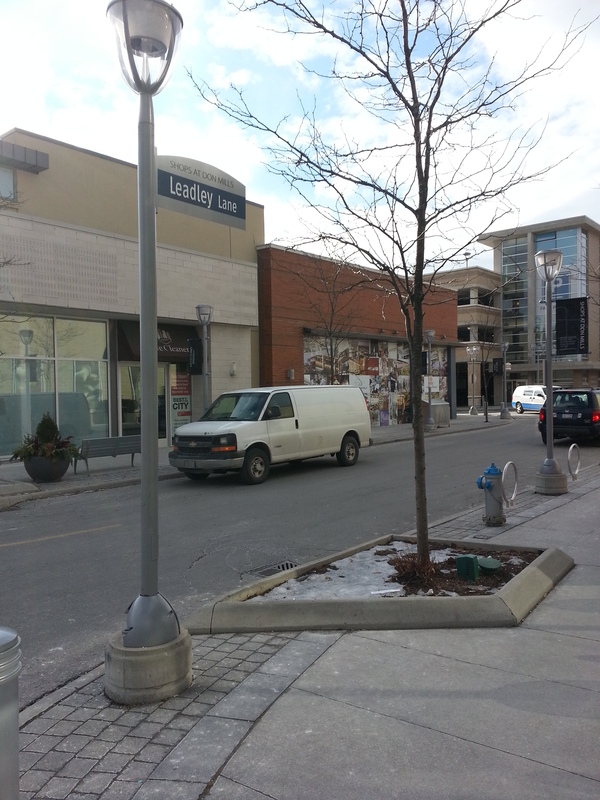 It’s not the ‘multi-levelled, department store archored Scarborough Town Centre’ kind of mall. Although the shops stand side by side, this isn’t a ‘Golden Mile style strip mall’ kind of shopping centre either. For one, both types involve huge tracts of parking. The Shops at Don Mills lacks that. In its place we have a layout of narrow individually named streets and sidewalks decked out with lampposts, greenery, and benches. At this point, it strikes me: this is all supposed to recreate a city feel. A look on the Shops website cements it: The Urban Village. Here we have an urban environ in the heart of suburbia. That duality is very intriguing. The shops themselves make the place a destination: Pandora, Aroma Espresso, Fisker, Glow Fresh Grill & Wine Bar, and the like. Incidentally, as a person that still labels himself as a poor student and not very shopping inclined, these are intimidating establishments with intimidating prices. The cut I was there to cut was a number I do not want to repeat. But I digress. 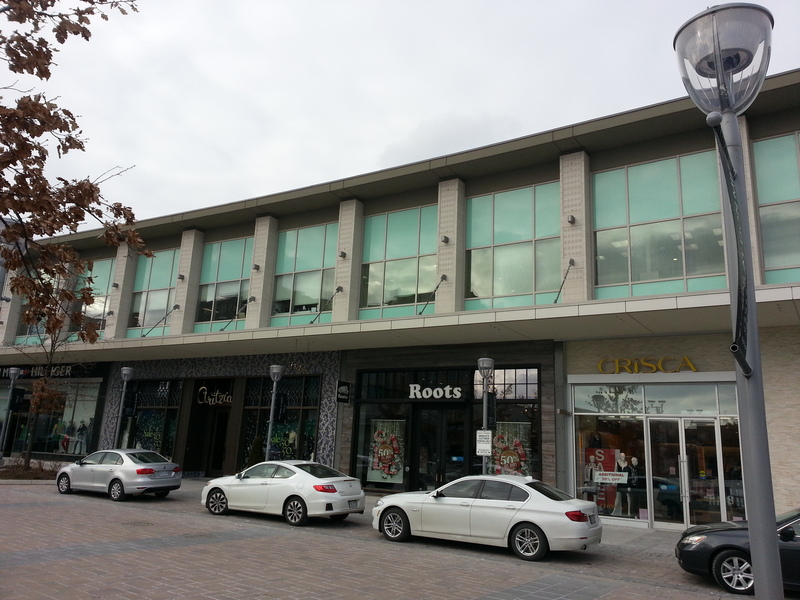 Shops at Don Mills is the second mall existing on this site. 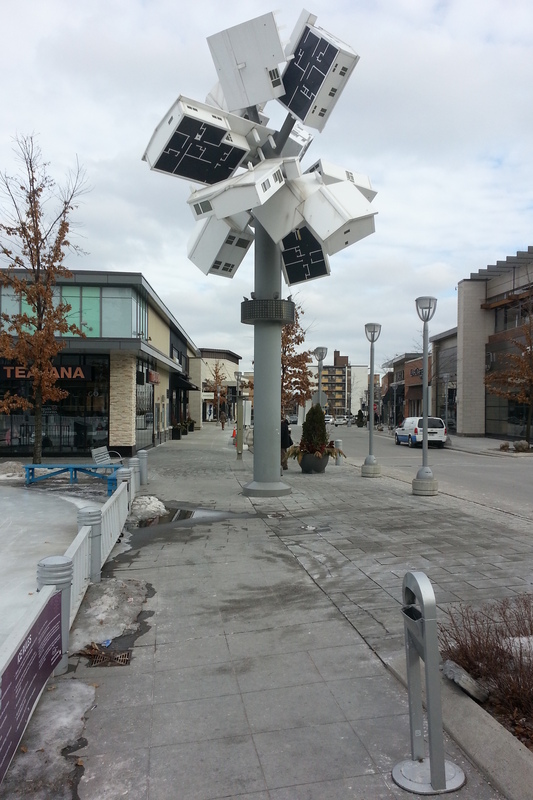 It opened in 2009 on what was once the Don Mills Shopping Centre. 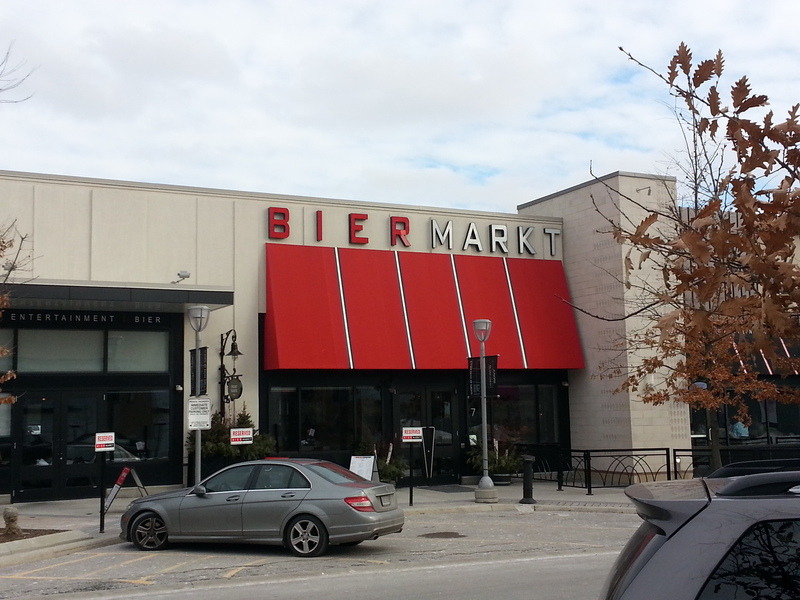 A visit to Bier Markt still eludes me. Two final pieces contribute to the village/town/city characterization. 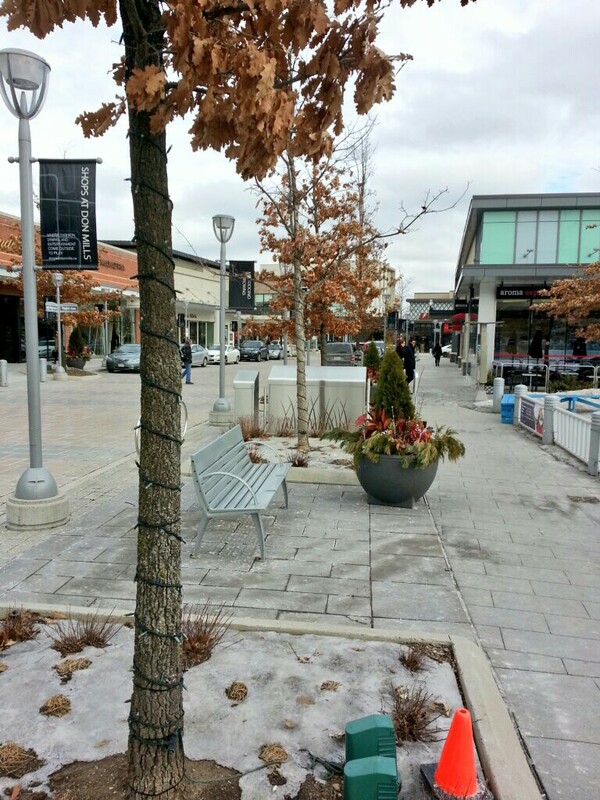 The Shops boasts a gathering area at its centre, aptly called the Town Square. Right now it is a skating track, but I imagine a beautiful lawn in the summer. The southern edge of the square is marked by a Clock Tower, a landmark that normally highlights many a town or city, but here takes on an interesting form. I recognized the ‘branches’ as houses, but could not place its overall significance. Help via Instagram (thanks again @bobofeed) told me that the piece was the brain child of Douglas Coupland, and highlights the emergence (or explosion?) 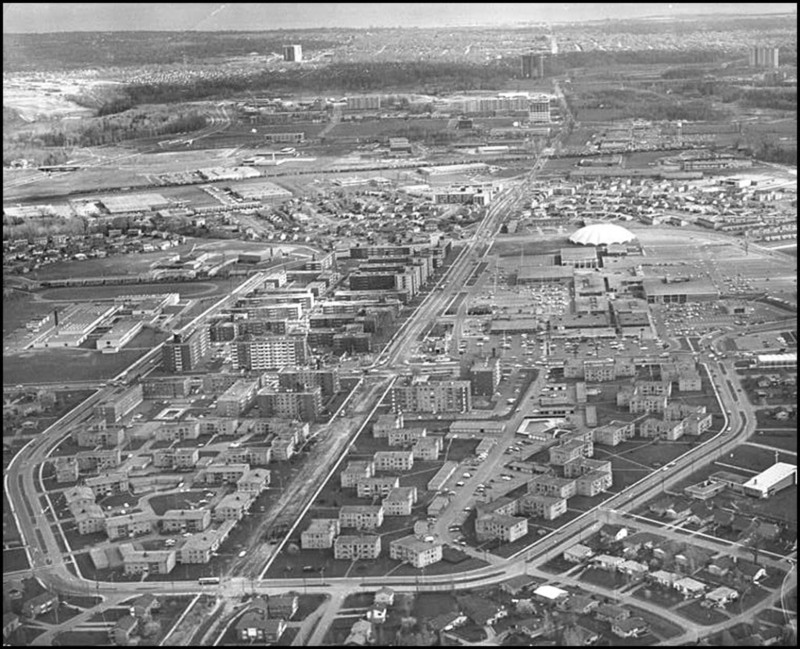 and importance of the suburb and Don Mills’ place in history as the host of this development. It is a great reminder to the pedestrians and motorists of this urban village that they are still, after all, situated in a suburb.